It has been a year since the ISO 9001:2015 standard for quality was released. In that time, I have been learning the standard, helping clients to get requirements met and helping create and implement systems to help organizations find their way to better results. The new standard has more focus on service organizations than in the past, so it’s much more broadly applicable than to just manufacturing or product-oriented businesses. And I’m amazed at the improvements service businesses see when they adopt the standard. What a joy it has been to be a part of helping others implement this standard. For companies who already have certification, I believe they’ll find that the new documentation requirements are a breath of fresh air. It’s no longer necessary to document everything! 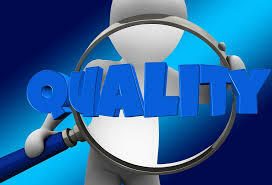 There are no required procedures and no requirement to have a quality manual any longer. In my 20 years of working within the standard, I found only the quality manager and the auditor ever read it anyway. Now, you choose what you need documented as a procedure or not. Most of the requirements are more concerned about ensuring documented evidence exists to prove that processes achieve what they’re intended to achieve. I can’t imagine that any organization wouldn’t want that as well! Some of the new requirements may feel a bit daunting, but they don’t put a huge demand on any organization. In my view, shifting the work that was done as “preventive” measures easily fits into the risk assessment requirements, so there’s no need for new, complicated approaches. The requirement around tracking processes has evolved from practices adopted by the best, the most successful organizations from 95 countries around the world. Who wouldn’t want access to THAT kind of wisdom? I am located in the Kansas City metro area, but I travel to assist companies who need me. I have active clients in Kansas City, Missouri, in Lees Summit, MO, in Kansas City, KS, Shawnee, KS, and in Farragut, Tenn. I’ll be sharing what I learn (maintaining confidentiality, of course) and if you or your organization can make any improvements in the workplace from what I share, BRAVO! If I can help with your organization’s journey, let me know. After all, we spend more than half of our waking hours in the workplace, why not make it a place you enjoy? Why not have your efforts yield success? Quality tools can sure help you get there! Welcome to my website! I’m just getting started!